Black Bear Diner’s delicious food and homestyle atmosphere have earned them mountains of praise online. On track to almost double their locations in 2 years, Black Bear Diner needed to prepare for much more feedback at a much faster pace. They needed to make sure guests at every location, old and new, were happy with their visit and eager to return. “Knowing we were moving in this trend of numbers and growth, we needed a better way to manage guest feedback,” said Denise D’Amico Johnson, Communications Manager at Black Bear Diner. Black Bear Diner began searching for a multi-faceted solution to monitor all its reviews in one place and communicate directly with guests to understand their experiences. This led them to BirdEye. Both marketing and operations used BirdEye to connect with guests. All of Black Bear Diner’s reviews from 150+ sites were captured in one place and systematically managed via role-based dashboards with custom access permissions for corporate, regional, district, and location-level management. BirdEye automatically created a support ticket whenever a negative review was posted for any location, and assigned the ticket to the location’s manager. Operations was then able to track ticket resolution time by owner and by status -- open, assigned, in progress, and closed. “Each diner manager takes ownership of their own reviews, so when a review generates a ticket, they take ownership of recovering that guest,” said D’Amico Johnson. D’Amico Johnson monitors every diner’s tickets in one place so she can help managers if needed or ask them to follow up if she sees that no action has been taken on a ticket. 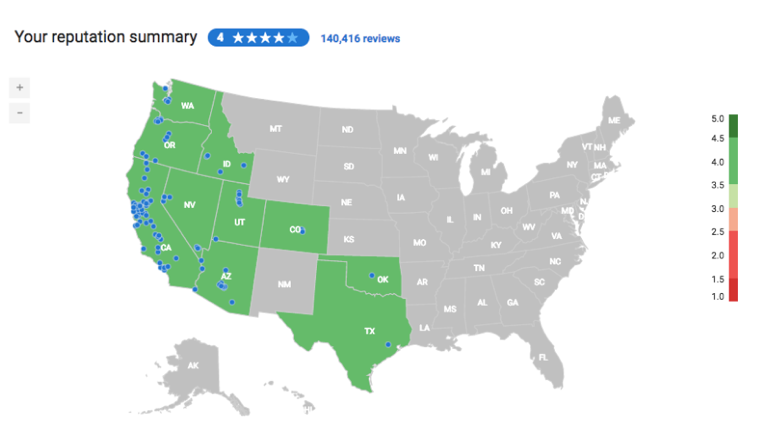 BirdEye built each location a custom review microsite displaying the location’s reviews, contact information, and the option for site visitors to leave a new review. The fresh stream of new reviews helped these microsites rank higher in organic search, so when potential guests were deciding whether to pay a visit, they could easily find recent, authentic feedback from real guests. To find out how guests were feeling at every step of the customer journey, Black Bear Diner used BirdEye’s Survey Designer to build a custom Dining Experience Survey. This survey contained focused questions gauging guest satisfaction across various areas like food, service, and atmosphere at every diner location. 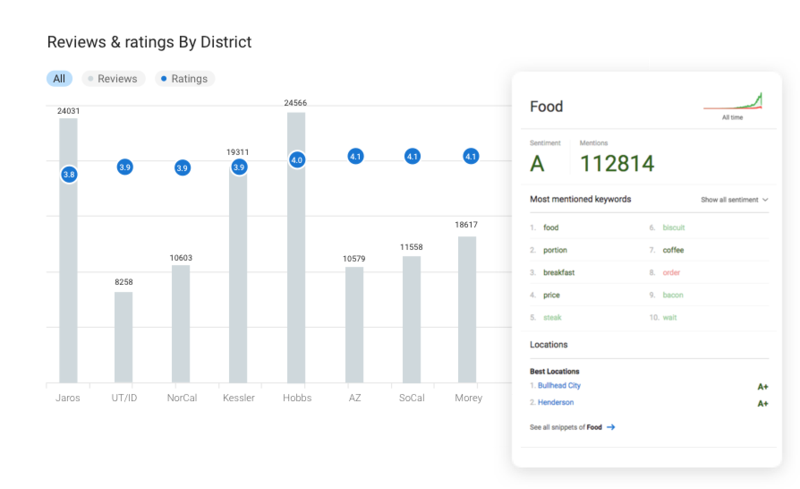 With BirdEye’s custom reports and Natural Language Processing (NLP) insights, Black Bear Diner’s operations team was able to analyze guest sentiment from reviews and surveys for the company as a whole, as well as compare relative performance at a territory, region, district, ownership group, and diner level. “They can use it on a broad level, or zoom in to look at just a small little sliver,” said D’Amico Johnson. More diners opening across the country meant more reviews pouring in, and more location managers responsible for managing their feedback. BirdEye’s straightforward interface allowed new managers to learn the ropes in no time. 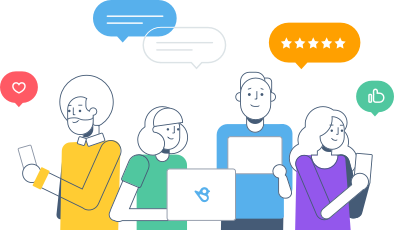 With BirdEye’s custom dashboards, monitoring and responding to reviews was no longer impossibly overwhelming -- even the less tech savvy diner managers could easily manage their reviews. “They don’t have to check a bunch of places, they use it and they’re done, they move on with their day,” said D’Amico Johnson, who trains marketing, operations and management on the BirdEye platform. This efficient system allowed the whole organization to keep pace with customer feedback, address problems instantly, and deliver above and beyond guests’ expectations. Black Bear Diner maintained a 4-star overall rating while nearly doubling both their diner locations and review volume. Black Bear Diner can now monitor and manage more than 140K reviews and more than 3K survey responses with organized ease. All 110 diners are in sync with what their guests want, and they’re equipped with the tools and insights required to deliver experiences that guests savor long after their plates are cleared.